“I said I did it, but I didn’t do it,” was what an 11-year-old boy convicted of murdering his neighbour told American lawyer Steven Drizin, during his appeal. This case sent Drizin on an “odyssey” to understand how people confess to crimes they didn’t commit. For Canadian lawyer Jerome Kennedy, his work with wrongful convictions started with the case of a young man convicted of killing his mother. Both men were drawn into advocating on behalf of the wrongfully convicted and learning about why innocent people plead guilty. They shared their perspectives with a packed room during a panel discussion moderated by Avery Haines, an investigative correspondent with CTV’s W5, and hosted by Innocence Canada on March 7. The police had also lied to the 11-year-old and told him they had his fingerprints on the murder weapon, Drizin explained. This case caused Drizin to start collecting and documenting cases with false confessions from America and around the world. He now has a database of over 350 proven false confessions that are used by other researchers in their work. Kennedy, a lawyer with Roebothan McKay Marshall in St. John’s, said after he’d worked on cases involving Gregory Parsons, who was 19 years old when he was convicted of murdering his mother, and Ronald Dalton, who had been convicted of murdering his wife, he became interested in wrongful convictions. 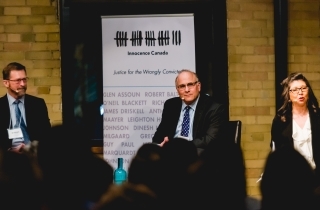 Kennedy, who is chair of the case review committee at Innocence Canada, noted that despite the Marshall Inquiry, and the wrongful convictions of Steven Truscott and David Milgaard, Canada seems to have a “superiority complex that these things happen in the United States, and they happen in the United Kingdom,” but they don’t happen in Canada. “Truscott and Milgaard went to the Supreme Court of Canada and some of the brightest legal minds in our country missed the cases,” he added. Drizin stressed that there are different kinds of false confessions that can lead to wrongful convictions. He noted that the rarest of these is called the “coerced persuaded” false confession, which is usually the result of extremely lengthy interrogations in which the suspect may doubt their own memory. The most common kind of false confession, he added, is a “coerced compliant” false confession. Drizin said this kind of confession is a result of two things: confrontational police interrogation tactics and a suspect’s own individual vulnerabilities. “In some cases, it’s more about the police interrogation tactics. In other cases, if you’re a youth or intellectually disabled or you have certain kinds of mental illnesses that make you more suggestable and more compliant, you don’t need as much police coercion,” he said, adding that at a certain point anybody could falsely confess. “We all have a breaking point. For some people it’s sooner than for others, but it’s the tactics [used] to bring you to a place of hopelessness and then the police officers offer you a life raft. They offer you two choices: one in which you’re a monster and the system is going to crush you and sentence you to an extremely long period of time; and the other is where you just made a mistake. You lost control for an instant or had an impulse; it wasn’t a deliberate crime,” he explained, noting that over time, a “desperate suspect” wanting the interrogation process to end will falsely confess. 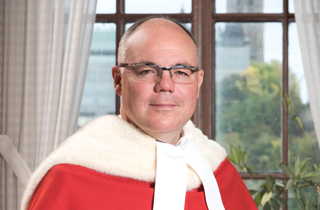 Haines pointed to Kennedy’s work with Innocence Canada in submitting an application for ministerial review for Brian Anderson, an Indigenous man who has maintained his innocence for 45 years in the face of a murder conviction. Kennedy noted that Anderson never gave a statement or confessed to the police, but he signed a document that the police had drafted. “We have a system where there are elements of systemic racism,” he added, agreeing with Drizin’s statement on a suspect’s personal vulnerabilities. “One of the things I think we’ve got to put a push on at Innocence Canada, and we’re really trying, is to look further into Indigenous cases,” Kennedy said, noting that Indigenous people may plead guilty just to get the interrogation process over and done with. 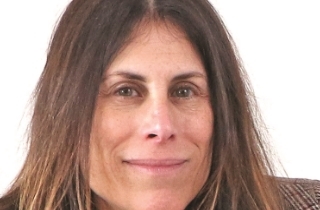 Drizin’s experience representing vulnerable suspects was broadcast through the Netflix documentary series, Making a Murderer, as he represented Brendan Dassey, a 16-year-old convicted of murder, on appeal. Dassey’s interrogation was featured in the documentary and symbolizes the “standard psychological interrogation tactics” that can produce false and unreliable confessions, Drizin noted. “If you look at Brendan’s [Dassey] case, there’s no yelling, no screaming, no fist pounding, there’s no profanity, there’s no direct threats of harm. There is a threat of harm at the beginning when they [the police] say in the first interrogation that the DA is ‘looking at this case closely and they’re looking at you as having something to do with it, but I said I was going to talk to you. You seem like a good kid and that we could work something out.’ So there’s the threat in the background, but it’s not like cases I’ve seen in the States where police officers threaten directly ‘you’re going to get the death penalty.’ They roll up their sleeves and they point to a vein and they tell a suspect ‘this is where the needle is going to go if you don’t co-operate with us.’ The Dassey case is coercive, but it’s a more subtle kind of coercion that we see over and over again,” he explained. The interrogation practice Drizin described is called the Reid technique, Haines noted, adding that the RCMP have started using the PEACE model instead. PEACE stands for: Preparation and Planning; Engage and Explain; Account, Clarify and Challenge; Closure and Evaluation. Both Drizin and Kennedy acknowledged that police can lie to suspects during interrogations. However, while Kennedy said the practice is “frowned upon” in Canada, Drizin noted American courts have “blessed” the technique. “Police officers in the States lie frequently and they lie with impunity. They lie about big things and they lie about small things and our courts have blessed this practice because they’ve been convinced that in order to get true confessions police officers have to lie. They have to get down on the same low moral plane as the suspects. If suspects lie to police officers, why can’t police officers lie to suspects? And the thing is, you don’t have to lie to get reliable confessions and that’s been proven since the 1980s in the United Kingdom when they banned lying to suspects,” Drizin said, noting that in Dassey’s case the “big lie” was that the police already had evidence against him. “That was a lie designed to break Brendan down to a place of hopelessness where it became easier for them to manipulate him into confessing,” he added. Kennedy said that those psychological factors of despair and desperation were evident in the false guilty pleas that stemmed from the Charles Smith cases. Smith, a former pathologist, was subject to a public inquiry due to flawed testimonies he gave on forensic results. “I’ve read affidavits where lawyers would say, ‘no one can do anything with Charles Smith. He’s so good. He’s a demigod. No one is going to disbelieve Dr. Smith,’ ” said Kennedy, noting that false guilty pleas are born out of that feeling of hopelessness. 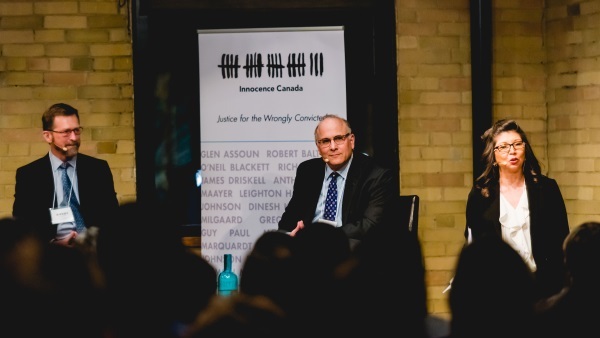 “We’ve had a willingness in Canada to accept that these wrongful convictions occur and to try and identify what caused these wrongful convictions. The one thing we all have to accept is that as long as there are human beings involved in the criminal justice system, mistakes are going to be made,” he added, stressing that the justice system must “continuously” be assessed. Drizin noted that the Making a Murderer series sold him on the idea of having cameras in the courtroom. “There’s no better educational tool as a clinical teacher than having a video record of a trial or a courtroom procedure,” he added. Photo of Jerome Kennedy, Steven Drizin and Maria Sheppard taken by Mark Robinson and provided by Innocence Canada.